Backed by almost 20 years of experience, Suzanne Tighe provides nuanced and reliable legal representation to injured victims of negligence. During her career, she has handled various types of personal injury cases, such as those involving underinsured or uninsured motorist claims, personal injury, complex civil litigation, bad faith insurance, and appellate cases. 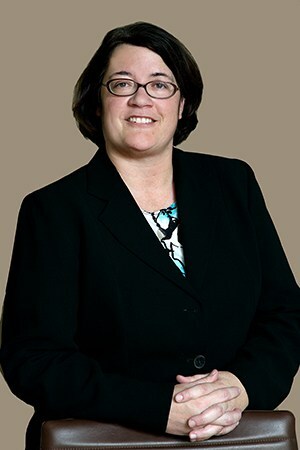 Our team of Philadelphia personal injury lawyers is proud to work alongside a dedicated legal professional such as her.Her well-versed knowledge regarding personal injury law allows her to frequently lecture at various events, such as The Annual Civil Litigation Update and the Pennsylvania Bar Institute’s Motor Vehicle Update. A graduate of the Dickinson School of Law at Pennsylvania State University, she has also written amicus briefs on topics related to coverage and insurance-related issues for federal and state courts in the Commonwealth of Pennsylvania. For her efforts to deliver top-notch legal services, she was honored with inclusion among the Super Lawyers® Rising Stars list in Pennsylvania.Attorney Suzanne Tighe is licensed to practice in Pennsylvania, the U.S. District Court Middle District of Pennsylvania, U.S. District Court Eastern District of Pennsylvania, and the Third Circuit of the U.S. Court of Appeals. If you need to take legal action for an injury, she can help you hold the at-fault party accountable. She is passionate and relentless about pursuing justice for injured individuals in Philadelphia, including Allentown, Lancaster, Reading, Holland, and Hazleton. If you are interested in being represented by Attorney Suzanne Tighe, take the first step by requesting an initial consultation regarding your case.